When you think of cold warriors the first thoughts that come to mind are of spies, scientists in secret compounds, maybe even belligerent politicians. Many people wouldn’t consider journalists part of this group. Nevertheless, they fed information to the general population, and also to governments. They helped to mould both popular perceptions and those of politicians. Occasionally, however, they were as much a thorn in the side of governments as they were a tool used to wage the Cold War. As he reaches his centenary, Chapman Pincher still draws media attention. Reviews of his new biography, which he claimed on Channel 4 News that he wanted to call ‘My first hundred years’, have seen him celebrated as an insider who uncovered the inner workings of the British security state. Pincher was first and foremost a cold warrior. His revelations in the Daily Express spanned the length of the Cold War and his polemical books like Their Trade is Treachery,(1981) contained elements of a self-serving agenda that continues to this day. He was more hawkish towards an imagined fifth column of communists than many of the most anti-communist politicians of the era. So damaging were his revelations to political careers and official secrets that Harold Macmillan wanted to ‘supress or get rid of him’. His allegations against members of the security service, and his apparent desire to tarnish Labour MPs including Harold Wilson as Soviet moles, paint him as an almost amateur sleuth who made a living from the salacious and spreading, often unfounded, rumours. For many from 1950s to the 80s Pincher was the face of British the Cold War: an outsider with an inside track who cared not whose he career he destroyed whilst serving himself, his newspaper, and Queen and country. Journalists were key figures in the British Cold War and it is little wonder that Pincher still captures the public imagination. Andrew Garve’s Murder in Moscow (1951) and Ashes of Loda (1965) both featured protagonists who were journalists, who (like the author himself) had to operate within the confines of the Soviet state. Their positions within these mystery novels and their ability to solve murders and outwit the Soviet security forces as they did so, made them Great British adventurers who represented the apparently British trait of risking all to uncover the truth. 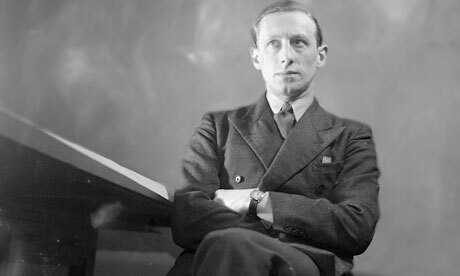 Garve was a pseudonym for Paul Winterton, who had spent much of the 1930s and the wartime years in the Soviet Union working as a correspondent for the News Chronicle and Economist. On his return to Britain he wrote several pamphlets warning British politicians that the Soviets were not to be trusted and that continued co-operation was a bad idea. In many ways Winterton waged the Cold War before it had even begun. His encounters with the Soviet system made him a virulent anti-communist, having at one point been relatively sympathetic to the early Bolshevik system. 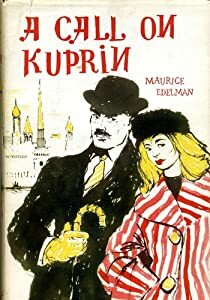 Another journalist cold warrior was Smith, the protagonist in Maurice Edelman’s A Call on Kuprin. Smith is an ex-serviceman who is called upon by politicians to persuade Kuprin, an old university friend and Soviet rocket scientist, to defect to Britain. Unlike Pincher, Smith is an unwilling cold warrior: a conscript who is at the whim of less capable but more powerful men. Yet his patriotism steers him and he dully travels to Moscow, where he fails to persuade Kuprin to return and therefore follows his orders by murdering the scientist. Edelman was a Labour MP and his novel was somewhat critical of the realpolitik of the Cold War, which appeared to alienate an unknowing population from the cloak and dagger spy game. That journalists were some of the key figures in the Cold War and featured in a number of Cold War novels is easily explainable. They were some of the few people who had first hand experience of the Soviet Union. Their extended stays in Moscow or elsewhere meant that they were able to see beyond the ‘Potemkin’ facades that often fooled many of the other Stalin era visitors. Domestic journalists too were privy to inside information and, whilst some of them embellished this with a healthy imagination and a desire to become a national hero by uncovering the Soviet spy in number 10, they were both useful and dangerous to politicians. These were the people who spied on the spies and in a world where espionage and underhand secrets were the key weapons of nations journalists were at the forefront of the Cold War. An established history society run by and for postgraduates studying at universities throughout the United Kingdom.